As a fitting swan song for the Holden V8, Holden and H.S.V. decided to make available a 5.7 lt. variant in the last years of production for this engine, before the swap to the GM LS series engines. 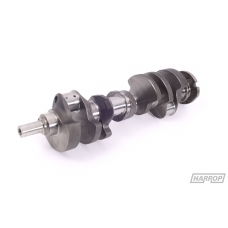 The crankshaft is designed to increase engine durability and offers up to a 15% increase in usable torque. 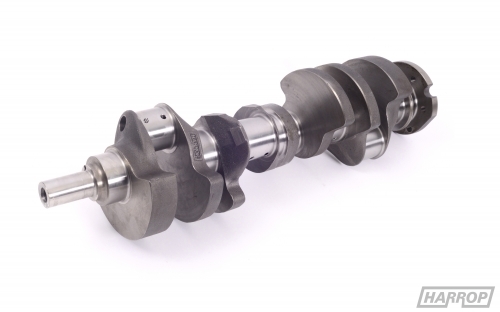 The nodular cast iron crankshaft is precision CNC machined and final ground to exacting tolerances. 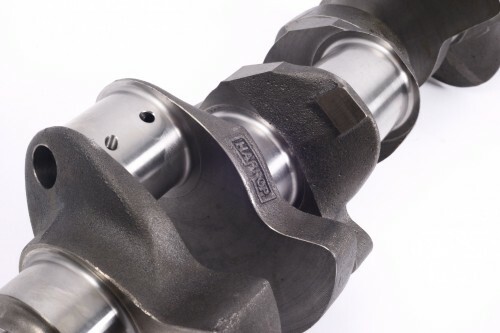 It is available in a number of configurations, with options for either Holden or Chev 5.7" connecting rods and to suit either rope or lip type rear main seals. 3.48"/ 88.392 mm stroke and 3.62" / 91.948 mm bore will yield a displacement of 355 ci / 5.7 lt.
Only fits late model Holden 5.0 lt variants, other models will require modification to the block to ensure clearance for crank and rods.